At JAVS, we believe that an accurate and accessible record helps create an open and transparent society. That’s why for more than 35 years, we’ve provided scalable, court-specific digital recording solutions to courtrooms throughout the world. 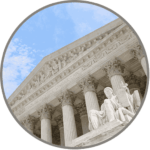 Our solutions enable courts to accurately capture, store, and publish the official verbatim record. From public address to remote arraignment, to open source access, JAVS promotes truth and accuracy by preserving the record of the future. Our Core, Premier, and Select lines offer hardware and software solutions capable of audio-only recording, full audio/video recording, and a portable recording. User-friendly, professional quality, and requiring little personnel interaction, our solutions are preserving the record for tomorrow’s justice system. Created from an initiative to help courts become less dependent on court reporters, JAVS first entered a single Kentucky courtroom in 1985. Today, our products are integrated in over 10,000 courtrooms throughout the United States and eleven countries spread over four continents, including Mexico, South Africa, Namibia, Tanzania, Kenya, Tasmania, Malaysia, and Canada. Our solutions are succeeding in meeting rooms and lecture hall settings as well. Looking forward, JAVS aims to equip courts and other government agencies with the solutions necessary to create the modern digital record. At our core, we are friendly, helpful, and dedicated. We strive to provide the best service and best products to our clients. Our distinct group of partners in the US and abroad are committed to making our recording solutions available to courtrooms, meeting rooms, and government agencies throughout the world. We take pride in cultivating a world-class company culture. We're collaborative, we promote employee wellness, and we're dedicated to employee engagement and teambuilding. And for two consecutive years, JAVS has been named one of the "Best Places to Work" in Kentucky.